Part of what gives lovable lunkhead Vin Diesel his charm is his eternal optimism. Whether he’s pounding Coronas with the family or engaging in a good-natured pro-wrestling beef with his co-star Dwayne “The Rock” Johnson, Diesel seems like the kind of guy who’s happy just to be invited. 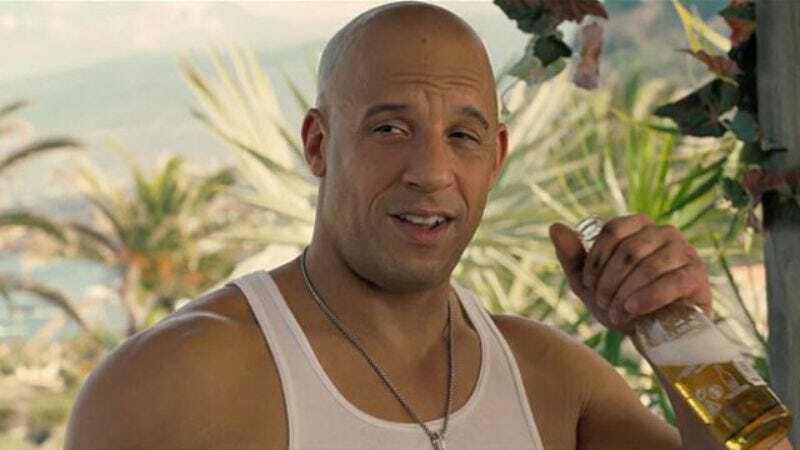 He’s also the Fast & Furious series’ biggest fan, perennially expressing his disbelief that the series isn’t sweeping the Academy Awards like a little kid whose favorite movie is always the last movie he saw, especially if he got to eat pizza afterwards. As bizarre as that might be, he is definitely going to [be recognized]. As crazy as that might sound, he should have really been acknowledged for Straight Outta Compton. I think he went into making this movie with a little bit of a chip [on his shoulder], going ‘Oh, really? Now I’m going to take the biggest saga in the world, and I’m about to throw Oscars at you.’ Wait until you see what he does!